Home » Posts tagged "Transportation Kanban"
What is Kanban? 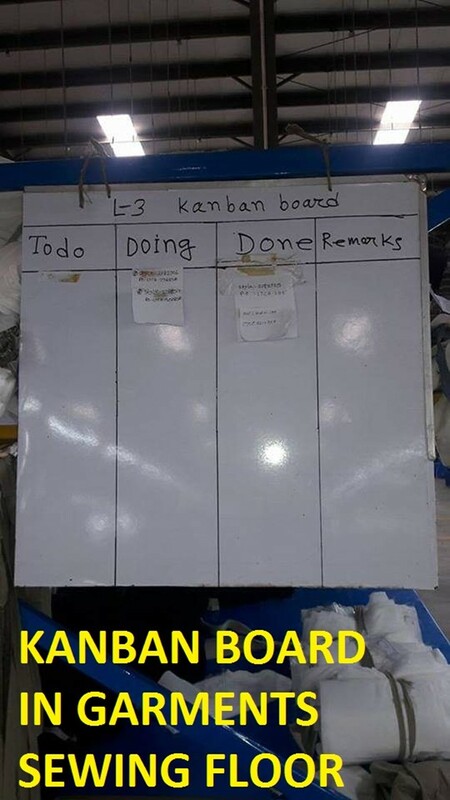 Kanban is a visual card or billboard; Japanese word which meaning Cards or board, a tool of lean manufacturing for visualization entire production teamwork to control production focusing on creating a production system more effective and efficient, focusing mainly in the production and logistics activities. Kanban is a visual system as ‘Signal card’ indicate what to do, items will put when needed, Kanban cards order necessary task, update with time and surely reduce wastage. In this article, you will have an idea of how kanban board in garments manufacturing production floor is used. Production Kanban is the first step of Kanban implementation, production Kanban takes the place of standard production orders in material requirements planning (MRP) push. Transportation Kanban system is very important that carried on the trolley, containers that are associated with the transportation to move through the loop again. Reduce idle time in a production process. If you have any confusion then please let me know.